The gold price fell back to one-week lows on Monday as the dollar makes a comeback, benefiting from a positive economic outlook in the United States. Spot gold fell back by 0.38 percent to $1,312.95 per ounce. U.S gold futures fell slightly by $2.80 to $1,319.30 for an ounce. Gold analysts believe that the bullion’s pause is a momentary break in its surge to higher values. Encouraging global investment from investors are US securities and bonds which are more profitable than other tradable items. The bullion is finally taking a backseat as the dollar gains favor with investors worldwide. Traders are keenly observing the complicated trade spat between China and US and the political fallout surrounding the Brexit deal. In other news, UAE’s investment firm Noor Capital purchased 3 tons of gold from Venezuela’s central bank on January 21. President Nicolas Maduro’s government is desperately trying to keep their authority afloat. A senior official in Venezuela says that the country hopes to provide enough liquidity to import basic food supplies. 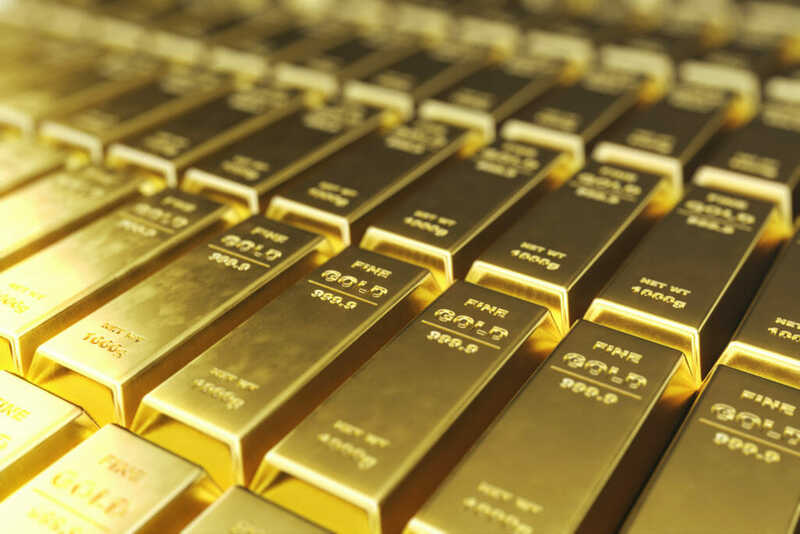 The recent conclusion of US-China trade talks were widely considered as positive, which means that investors are no longer in a frenzy to sell some of their equity holdings for safe haven bullion. Another factor that played an important role in the stabilization of the greenback was the U.S Fed’s decision to put a pause to further interest rate hikes. This places the upside resistance for the bullion at $1,330, which will smoothly glide over to test further resistance at $1,338. In line with investor sentiment are the holdings of SDPR Gold Trust, the world’s largest exchange-traded fund backed by gold, which slipped by 0.8 percent to 817.4 tons on Friday. Overall, the precious metals market as a whole is seeing better days. Palladium rose by 0.78 percent to $1,361 for an ounce while platinum prices dropped by 0.49 percent to $817.5. Silver rates slipped by 0.45 percent at $15.84. Meanwhile, the US job market registered 304,000 new positions in January, the highest reported in almost a year and twice what analysts predicted. This has added new strength to the economy, attracting investors. In India, domestic prices for gold increased by Rs. 340 to Rs. 34,450 per 10 grams, following increased demand from jewelers and other retailers. Silver prices in India have fallen by Rs. 130 to Rs. 41,530 per kg due to lower off-take by coin makers and industrial manufacturers. The only factor putting a stop to the bullion’s recent climb in domestic prices are weak global cues. Sovereign gold increased in value by Rs. 100 to Rs. 26,100 for every eight grams. Gold of 99.5 percent and 99.9 percent advanced by Rs. 340 to Rs. 34,300 and Rs. 34,450 per 10 grams, respectively. Silver coins traded at a price of Rs. 81,000 for selling and Rs. 80,000 for buying per 100 pieces.